As far as I know this doesn't really exist. 4 pawl 571 cassette rear hub. It's labeled as a 571, not 571/2. Someone's aftermarket modification? The machining quality is very high, so that seems unlikely. An experiment by Mavic at increasing the number of pawls? Beats me. Anyone seen one before? Came across a later version of the Mavic technical manual recently, so I figured I owed it to whatever readers I still have to publish the differences. 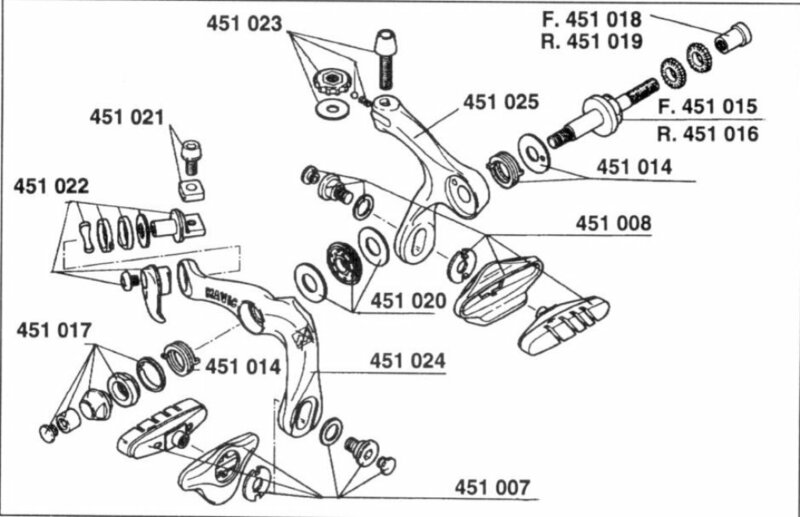 This manual was from 1991 or later, and added 451 brakes, 501/531 hubs, and the 571/577 cassette hubs. You can find scans here. Enjoy!